Please contact us at any time if you have questions, wish to join NMHS or with any questions you may have in general. 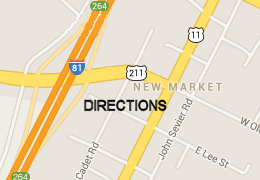 Mailing address: New Market Historical Society, Inc. 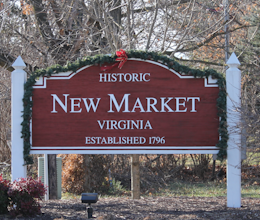 WELCOME to New Market VIRGINIA! The New Market Historical Society, Inc. (NMHS) is a non-profit organization that encourages the discovery and preservation of historical homes, buildings and other significant sites along with pictures and documents related to the New Market area. The Town of New Market has been listed on the State and National Register of Historic Places since 1972. There are 40 pre-Civil War buildings in the town. The New Market Historical Society begins the year with its annual dinner meeting on the 4th Thursday in January. It then meets at 7:00 pm the fourth Thursday of March, May, July and September as well as the third Thursday in November. 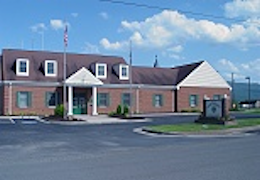 The meetings are usually held in the New Market Town Council Chambers on John Sevier Rd. in New Market although sometimes we meet at nearby historic locations. Speakers discuss topics of local historical interest and refreshments are provided. Our meetings are open to the general public and except for our annual dinner meeting, meetings are "free". We hope you will make plans to attend one of our meetings. Genealogy: It's not your grandmother's hobby anymore. Whether you are new to genealogy, or a pro, refreshing your basic skills is a must. In this presentation learn how to get started in this national obsession and, more importantly, how to get the most out of your time researching. Tips and tricks will be covered for both online and in person research with ideas for storage and organization of your materials. 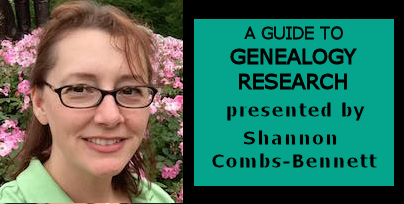 Presented by Shannon Combs-Bennett, an author and genealogical researcher based out of Northern Virginia. Her book "Genealogy Basics in 30 Minutes" won the IBPA Benjamin Franklin Silver Award. Eric Buckland seen pictured above addressing the NMHS March program audience. Eric has written several books on some of the men who rode with the 43rd Battalion Virginia Cavalry - better known as "Mosby's Rangers". 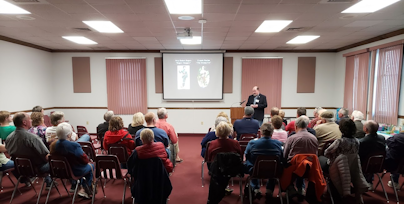 This presentation focused on the many similarities that existed between the tactics, techniques and procedures used by the famed Rangers during the Civil War and today's United States Special Operations Forces, especially the Army's Special Forces ("Green Berets"). After a 22-year career, Eric retired as a Lieutenant Colonel with a majority of his military career spent in Special Forces. Another enlightening evening at a NMHS event. Unless otherwise specified, our meetings are held in the Town Council Chambers at the New Market Town Hall. You can get driving directions to Town Hall from any location using Google Maps by clicking the map above. Our logo deserves a little more than a passing glance at the top of the page. It was designed by Jean Caggiano, a charter member of NMHS. In case you never thought about the lines under our name in the logo, watch the transformation above to see what it represents.